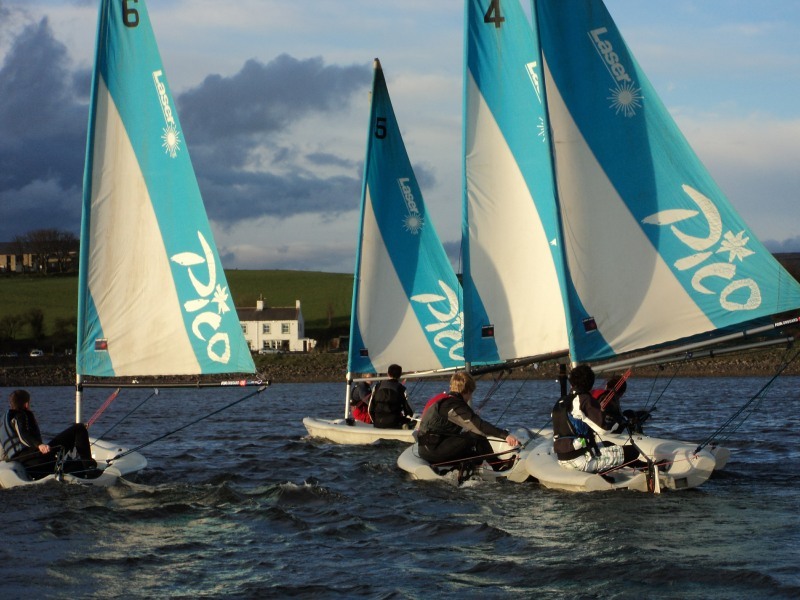 Our 120 acre lake, situated at the foot of the Pennines, offers spectacular views and reliable winds – an ideal sailing venue for all ability levels. Hollingworth Lake Water Activity Centre offers a complete range of courses for all ages, from beginners to more advanced sailors and instructors. All of our courses are run to the guidelines and recommendations of the Royal Yachting Association, the governing body for sailing in Great Britain. Start Sailing Level 1: Saturday 7/Sunday 8 April, Saturday 2/Sunday 3 June, Saturday 14/Sunday 15 July, Saturday 4/Sunday 5 August & Saturday 8/Sunday 9 September. Sailing Level 2: Monday 5/Tuesday 6 March, Saturday 30 June /Sunday 1 July, Saturday 25/Sunday 26 August, Saturday 20/Sunday 21 October & Saturday 10/Sunday 11 November. Youth Sailing Stage 1+2: Saturday 5/Sunday 6 May and every Monday and Tuesday during the Summer Holidays. This session is the ideal place to start. Why not get out for a leisurely sail with an instructor and have a go at sailing. These sessions run on Sunday afternoons weather permitting. These sessions are for beginners who want a taste of sailing in a boat on your own under the tuition of one of our qualified Instructors the ideal place to start if you are looking to do a qualification course. Junior Sailing Courses run during school holidays, and Adult Sailing Courses take place on weekends. The RYA Start Sailing course (Level 1) covers skills such as sailing upwind and downwind, tacking and gybing, sail setting, rigging and wind awareness and will give you the confidence to hire a boat. The RYA Basic Skills course (Level 2) gives people the opportunity to develop their existing skills and knowledge and introduces the five essentials, man overboard and coming alongside and develops your boat handling to become a much more confident sailor. For further information follow the links to the The Royal Yachting Association national governing body website for Adult and Junior courses. The improver session runs on a Saturday morning. These sessions are for sailors with a qualification who want to continue to gain instruction each week to improve their skills. During these sessions you will learn to analyse your own performance, develop your understanding and become much more independent sailor. This programme is designed to build confidence, skills, knowledge and will work towards some of the advanced modules within the RYA logbook. The sessions run on a Sunday morning contact the centre for further information and to find out what clinics are being run. Whether you’re looking to start out in Sailing or looking for top tips on how to improve, you can book a private lesson for one person or two.